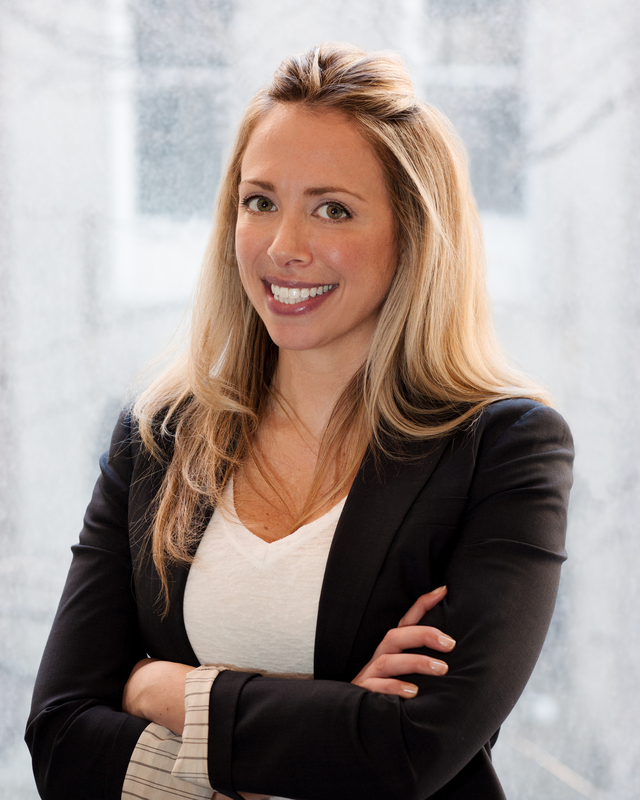 Jillian is the CEO & Co-founder of Virtual Health Partners, Inc. In May 2015, Jillian launched VHP with the goal of creating an ecosphere of wellness support available anywhere and anytime. With over 15 years of experience in the medical industry, Jillian was responsible for the multi-million-dollar growth of three start-up companies, with a strong focus in the non-invasive weight loss space. Starting her career at Johnson & Johnson, then moving to Novare, ElectroCore and Apollo, Jillian specialized in development, implementation, growth, and marketing for new medical procedures. Jillian received her Bachelor of Science from Rutgers University Business School and believes the key to success is having a great team. When I first graduated college I went into corporate finance. I was in AT&T’s Financial Leadership Program. I quickly learned that corporate finance was not my passion and by luck ended up in the field of Medical Device Sales. My first medical sales job was with Johnson & Johnson as a Territory Assistant. Within 6 months, I was promoted to manage my own territory and then shortly thereafter, I was invited to join the Management Development Program. I tremendously enjoyed being in surgeries and seeing less-invasive surgical procedures in the OR start to take off. I spent a lot of time observing gastric bypass, open heart, spine, and orthopedic surgeries, along with the treatment of diabetic and pressure wounds. Many of the patients I saw were overweight or obese, and witnessing firsthand the link between obesity and these major health issues strongly influenced my career path. From there, I began to further specialize in medical device sales that had a focus within GI and weight loss, going on to work for start-up Novare Surgical where I sold a device used in Lap-Band surgery, which at the time was the number one weight loss surgery in the world. I then gained great experience running sales and business development for Electrocore in Europe and Asia. After overseeing the successful launch of Gammacore for Electrocore, I realized that I missed being in surgery and decided to go back to the U.S. and work for Apollo Endosurgery. I helped launch a revolutionary device that used a non-invasive suture technique to help tighten up the stomach of patients who had regained weight after weight loss surgery. It was there that I began to notice the void in the market. Weight loss procedures required a lot of follow-up, and it dawned on me that you could give patients a tool, like a surgical procedure or a “tightening”, but they need a full toolbox to succeed. This toolbox needed to go beyond what patients experienced in the office and be accessible throughout their day-to-day lives. Patients needed a combination of nutrition, lifestyle modification, and fitness support all in one place, accessible on-the-go, at hours that fit their schedule. I shared my idea with VHP’s co-founder and Virtual Health Partners (VHP) was born. What I didn’t realize at the start, was that this tool we had built would receive so much interest from people outside of the traditional weight loss industry. A few short but busy years later, VHP now has partnerships in eight different verticals including fitness, oncology, fertility, aesthetics, cosmetic surgery, GI, orthopedics, and weight loss. There are of course a ton of funny things that happen on a daily or weekly basis, especially when it comes to my love of “drawing it out” aka white-boarding, as my team will tell you. At times when I am short on proper materials, I have been known to resort to a paper towel roll as my vision board. However, in my mind the most amazing or interesting story that has happened since beginning VHP is the “holy cow” (to be “PG”) moment when I was looking at an updated org chart, and in black and white saw the amazing team that has been assembled to work together at VHP. Many members of our team have been in my life for well over a decade. To see their passion for VHP is a gift that keeps on giving. It is also key to the great success VHP continues to have. One of the biggest challenges with launching VHP was getting our mobile app up and running as quickly as possible. When we did the soft launch of the platform, we launched with the web version only. It quickly became apparent that people liked the concept but wanted it truly at their fingertips with an app. Getting our app launched as quickly as possible was a tremendous feat with our small early-stage start-up team, but it was worth it. It helped VHP really take off, and we now see over 80% of our usage via the app. Leadership means giving everyone the opportunity to share an idea and be involved, no matter their level. I encourage my employees and other entrepreneurs to learn from as many people as possible. It is as important to learn what to do as what not to do. Being a leader also means not giving up. You are going to have great days and you are going to have bad days, and the key is knowing that the great days will always prevail if you follow through. I inspire others to lead by practicing thoughtfulness. Life at a start-up moves very quickly. It is key to be thoughtful while moving at a warp speed. This includes ensuring your employees and customers feel their voices are heard and pausing to make smart decisions, not rash ones. None of us are able to achieve success without some help along the way. Is there is a particular person who you are grateful towards who helped get you to where are you are? Can you share a story? I am truly lucky to have a spouse who is not only the love of my life, but also my best friend, biggest cheerleader and partner in all senses of the word. We met just when I had told VHP’s now Global Vice President of Sales & Business Development, Shelly Russell, about the idea for VHP. She encouraged me to move forward with VHP and I made her promise that when the time came that she would come lead the charge! Early into our relationship, I shared the vision for VHP with my now husband. He immediately began helping me to think outside the box and how to truly flesh out my business strategy. Not exactly the typical things one would do on early dates. I will never forget us sharing a bottle or two of rosé on a hot summer day, eating BBQ, while he helped me put together VHP’s first pitch deck. The questions he asked, the encouragement he supplied and the vision he helped build, makes me thankful for him every day. I did not only get the most amazing husband out of the deal, but I am also heading up a company that is on an awesome trajectory and get to work with an amazing team, including Shelly! Our marriage positively affects both our personal lives and our business lives every day. The balance of the game called life is definitely challenging. At times I feel like a horrible friend, family member or spouse, but luckily, I have wonderful friends and family who understand how much goes into starting a company. Somethings that I do to ensure that my friends and family know how important they are to me are the following: I never miss a birthday, I call and sing no matter where I am in the world; if there is an emergency, all else stops and I will be there no matter what; last but not least, I make plans, even if it has to be two months out and put it on the calendar. When I first met my husband’s family, they used to laugh that I would send meeting notices out when we would make plans, but now they get it! Yes, for sure. I would always joke around in our early stages that as the VHP team grew, after every new hire, I would somehow become busier than I was previously (if that was even possible), even though the new hire would be taking responsibilities off of my plate. I have learned to ensure that I have balance. Sometimes it is the small things like taking time to go food shopping (granted it is usually online) or having coffee with my husband every morning before we leave for work that make me take a minute to breath. I also make sure that I take time to decompress on the weekends and workout during the week, ensuring time to focus on things other than work! The VHP Platform helps me to achieve this balance, especially during the week, as I do 15–20 minute workouts through the platform. Balance is key — I wish I learned earlier in life the importance of taking more time away from work and focusing on family. Having lost my dad in September of 2017, I am constantly reflecting on how I was always running out of his office, when I would stop by for a quick hello to get to a work meeting or how I was too busy flying out for work on a Sunday night to make it to his house to watch the Giants game. Time is precious, having fun and working hard are important, but you only get one dad — make time for EVERYTHING! Everyone is busy — No matter what their role — remember that. It is ok to not work every single weekend, people will understand and also appreciate that you are a person. Email efficiency — Do not spend time sending extra emails such as “got this,” “received,” “working on it,” or sending multiple “thank you” notes back and forth. Multi-task — There is an art to it as you do not want people to think that you are rude. Make sure you are listening and repeat what they have shared with you to ensure they know you are listening. Vacation — It is a must to take vacations. I definitely do work while on vacation, but I also enjoy myself and have fun. It also sets a good example for the rest of your team, as it is important for everyone to take time to destress and decompress. There is no better feeling than reading notes from our users about how we have changed their lives. Whether it is a business traveler who finds the comfort of home while working out in their hotel room with their favorite fitness instructor or having healthy suggestions for meals in airports; a mom of two who is going back to work and looking for help balancing a healthy diet for her and her family; or a former football player who needed to lose weight before having knee surgery — there is nothing better than knowing that your vision has helped to make their lives better. You are a person of great influence. If you could inspire a movement that would bring the most amount of good to the most amount of people, what would that be? You never know what your idea can trigger! Recycling awareness. I am an environmentalist at heart and our excessive use of packaging and plastic worry me. I recently learned that plastic water bottles do not get recycled if the cap is left on. I know it may seem like a small thing but if each person removed their cap prior to throwing their bottle out, it would greatly impact the amount of recyclable materials. I would love there to be a campaign informing people about this, because if people knew this small little fact, I believe they would do it! You can reach me at @VirtualHealthPartners on Instagram and Facebook, and at @VHPGO on Twitter.